Vesta Hospitality's Work Hard…Live FREE program is an associate incentive that gives one lucky winner the chance to have their rent/mortgage paid for a year. On February 23, 2018 via live feed from Vancouver, Washington Madalyn Roman Martinez's name was randomly drawn as the 2018 winner. Madalyn joined the Homewood Vancouver, Washington as a Guest Service Representative in February 2016. She hit the ground running and has been a valuable asset in the hotel. Madalyn loves people, works hard, and always tries to lift the spirits of those around her. She has quickly climbed the ranks of the front desk from being a new hire to a senior agent. Madalyn also assumes additional responsibilities in the hotel such as the Saturday Manager on Duty and helping out in the Accounting Department. Madalyn was the Associate of the Month in June 2017; she was nominated because she is always willing to help out wherever needed, including helping the Housekeeping Department with laundry. She is always dependable, efficient and punctual. Madalyn is a source of inspiration for other associates who want to grow within the hotel and Vesta Hospitality. 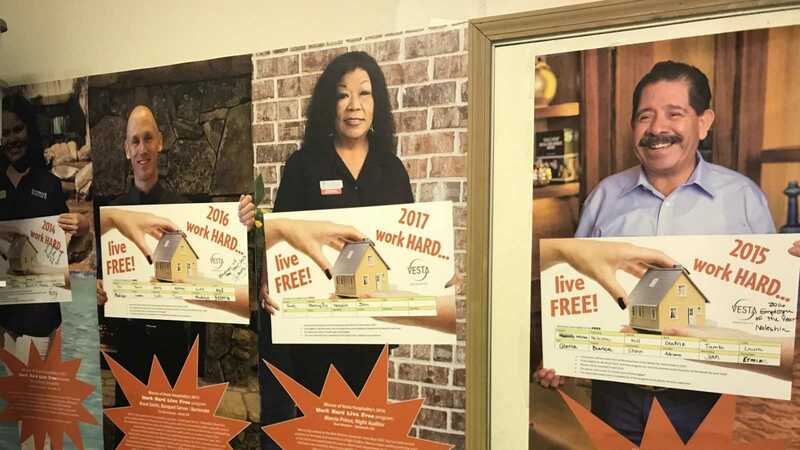 Having her name drawn as the Work Hard Live Free winner for 2018 will give Madalyn, a single mother, the opportunity to pay more on student loans and other bills. This will also give Madalyn the opportunity to spoil her son a little bit more. Congratulations Madalyn, enjoy living free for a year!